I have a Promo Code - Where do I put it? After you enter in the vehicle registration number, just click GET FREE REPORT button and you will be brought to the report selection section. Scroll down on this page and on the left-hand side (bottom of the page if using mobile) you will see the box Do you have a Promo code?. Click on this and enter in your code. For example, If you bought a bundle of 3 checks, each of the Promo Codes you have been given will reduce the price to zero. 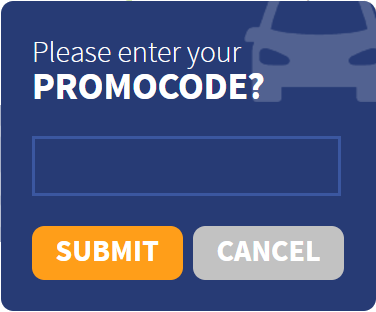 Repeat the same steps again when you want to use your third promo code.